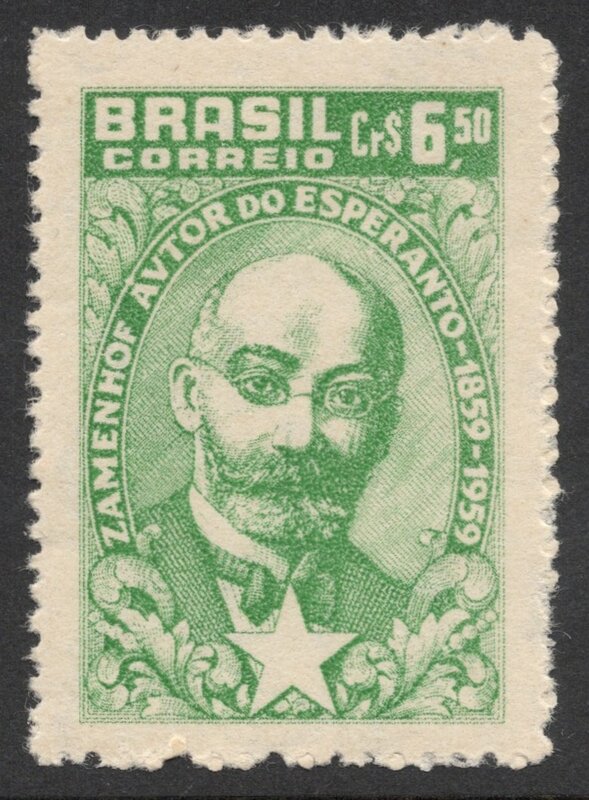 In July 1887, so that's 125 years ago this month, Ludwig Lazarus Zamenhof published his book on a new language which he hoped would unite the world: Esperanto. The idea was to create a universal second language, which would transcend political and other barriers, thereby smoothing over or avoiding misunderstandings between people. Like returning to the days before the building of the Tower of Babel, when everyone still shared the same language. Zamenhof grew up in a multi-cultural, multi-language environment in the Russian Empire where he saw that categorising people with regard to such things as race, religion and language was only creating division and hatred. A born idealist, he vowed to come up with a solution which would unite people once more and give them the tools to work towards a world of peace. It took him ten years to develop the language and his results were penned down in his book 'Unua Libro'. The idea of this language was picked up swiftly and in 1905 there were so many followers that a worldwide congress could be held in Paris. Since then, many countries all over the world have organised congresses, which were usually promoted with stamp issues. You may have detected a certain green theme by now. Well done! You see, during that 1905 Congress, an Esperanto flag was adopted, consisting of a green star on a white field, a so-called canton, in a green field. The colour green, and the star, have since been potent symbols of the Esperanto movement, and as such have often been used by stamp designers. 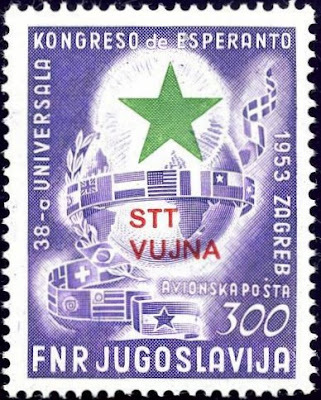 One of the earliest Esperanto stamp issues is probably that of the Soviet Union. 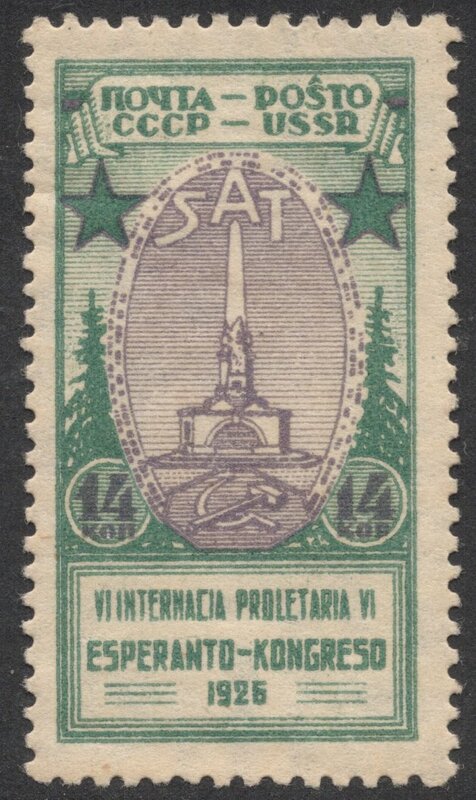 They issued two stamps in July 1926, to mark the Sixth International Proletarian Esperanto Congress, held in Leningrad. 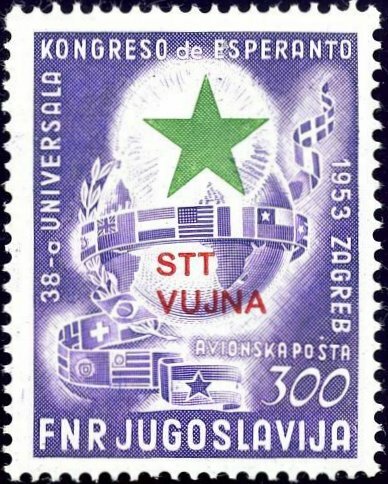 Top marks should go to Yugoslavia, who issued what must be the most expensive Esperanto stamp. 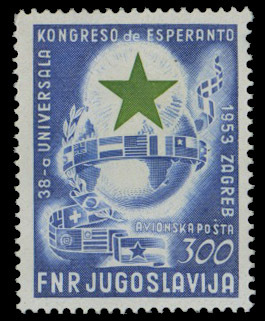 In 1953, they issued two stamps to mark the 38th Esperanto Congress, in Zagreb. The postage value is a fairly common stamp, but the airmail value commands a three figure sum nowadays. That is probably because of its very high face value of 300 dinar and its small print run. Only 20,000 stamps were printed, compared to 300,000 for the postage value. This stamp has to share the limelight, though, with its companion issued by the Yugoslav Military Government in Trieste. 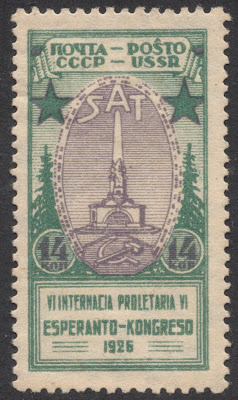 It is basically the same issue as that of Yugoslavia, but in different colours and with the overprint 'STT Vujna'. 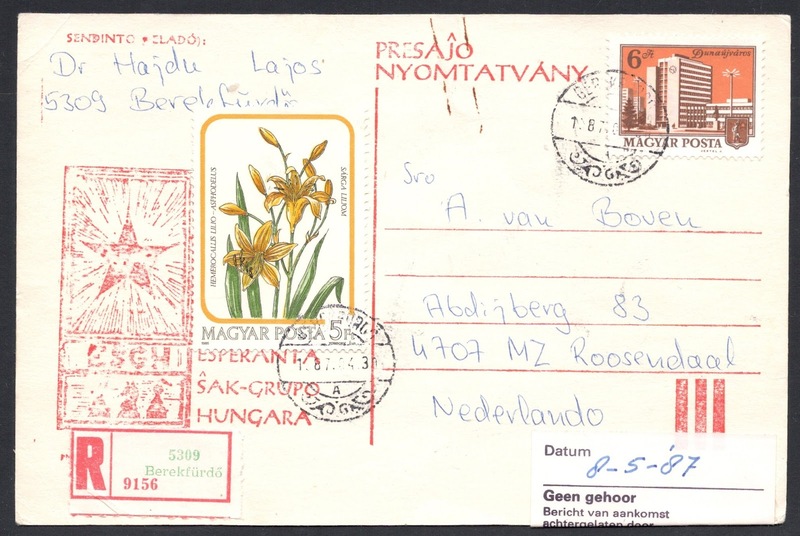 Here, too, it is the airmail stamp which commands the highest price of the set, being on a par with the Yugoslavian stamp. 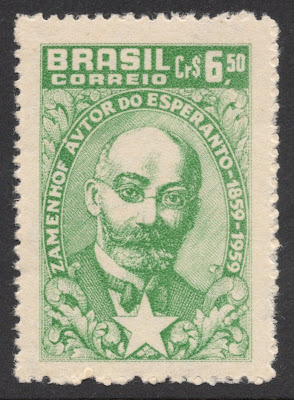 All in all there is plenty of scope for an interesting collecting on the Esperanto theme, with not just stamps, but plenty of cinderella and commemorative covers to be found as well. 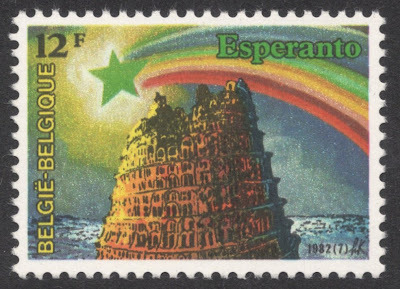 As a result of the many comments on this blog post, there is now a dedicated forum thread here on collecting Esperanto on stamps. Hope you'll have a look and join in with your own items! What an interesting blog. 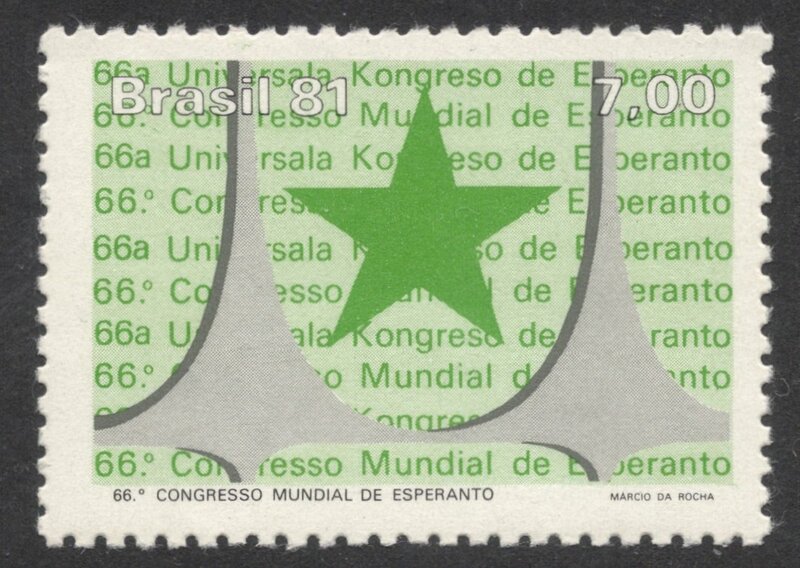 I've been speaking Esperanto for years, but there are several stamps here I've never seen before. It seems to me that Esperanto offers a radical way to overcome the language barrier. Learn Spanish and you’re at a loss In Germany, learn French and you’re illiterate in Russia, learn Chinese and you can’t ask for an ice cream in Brazil or Portugal. So which language should we be learning? Esperanto is certainly easy to learn and use. I hope vthis 125th anniversary gives it a boost in the United Kingdom. Hi Bill, Glad you liked the blog. 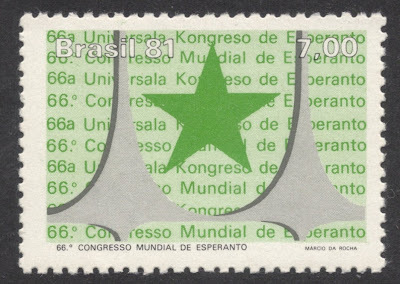 If you have a collection of Esperanto themed stamps, I wonder if you'd like to be in our My Collection feature? A few links below celebrating Esperanto Day on 26th July. Since the start of the Olympic Games is imminent it came as a surprise to me that the 1948 incarnation was accompanied by several postage stamps issued by the Royal Mail. One of the many designs submitted, one crafted by Harrison & Sons, was in Esperanto. Unfortunately it wasn't one of the four that eventually were produced but it makes for a nice, topical theme all the same. That's a fascinating design, Bill! Would have been great indeed, if they had decided to include it in the set. In 1985 Åsa Sahlquist and Inga Johanson made a booklet together with Swedish Post Org. in 5 000 ex. Kor/r/espondu Esperante. We used pictures of stamps as illustrations. Page 16 (the first one in your row) and Page 78 (the third one in your row) Unfortunately in that booklet were no colors and the postmarks were more black than white. Page 67 total black. Anyway we also use other marks and postcards. The idea with this booklet was to enthuse people to write more letter, and of course in esperanto. I linked to this on Twitter and someone named @komponisto said 'Since the Esperanto text is misspelled (Olimp-i-aj ludoj), I think it was probably for the best that it wasn't used', which is interesting!